Glenn continues the Girard tradition of terroir-driven and minimalist intervention as the protege of Marco DiGiulio and Zach Long. He brings a practical artisanal approach to winemaking with a focus on wine as part of the culinary experience. 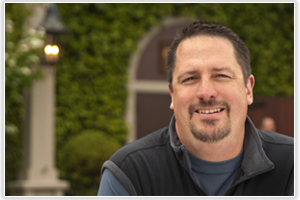 A native Texan, Glenn developed his passion for wine over 12 years in the restaurant industry while working closely with some of the most successful wineries and wine companies including Beringer, Chateau St. Michelle and Republic. He soon realized his dream was to become a winemaker and left for Napa Valley with his wife Pam, in 2003. Glenn’s winemaking experience is concentrated in Napa Valley and includes early assignments with Provenance Vineyards, where he learned from Napa legend Tom Rinaldi, and hands-on experience at Sedna Winery and FleuryWinery. As the General Manager of The Bounty Hunter Wine Bar in downtown Napa, Glenn soon met Marco DiGiulio and continued his dream at Girard. Glenn’s philosophy is simple: wine is to be shared with friends and family; it is a living and breathing expression that constantly evolves and instills memories. With this in mind, his focus gives him a keen sense of place within the region, and he is driven to allow Napa Valley to shine through in every bottle. I love your wines. Keep up the great work!! Thanks Rina! We appreciate it!